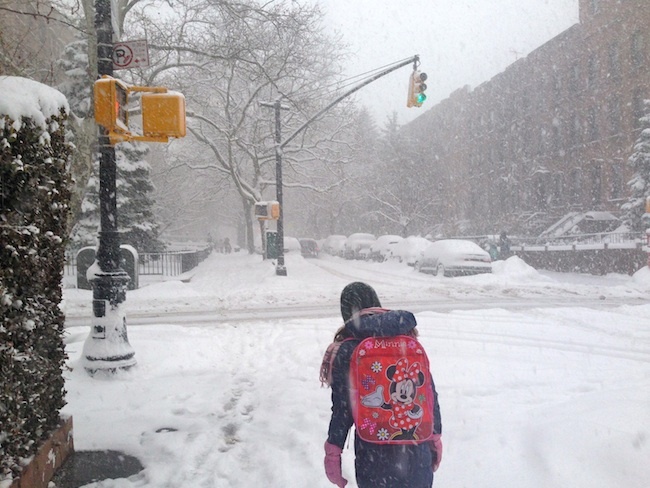 The last time we had snow and ice, a couple of weeks ago, there was grumbling and anger over Mayor Bill de Blasio’s decision to keep public schools open. With today’s blizzard-esque conditions that are supposed to get worse as the day goes on, one must question the mayor’s decision to keep school doors open today. Let’s all cross our fingers that teachers who drive to school are safe on the ride home. Photographer Julie Creech captured a photo of at least one person who was reveling in the early morning snow. What’s wrong with a snow day? Everyone’s grumbling on NY1 about the snow and cold, but it’s actually a beautiful arctic-like winter. 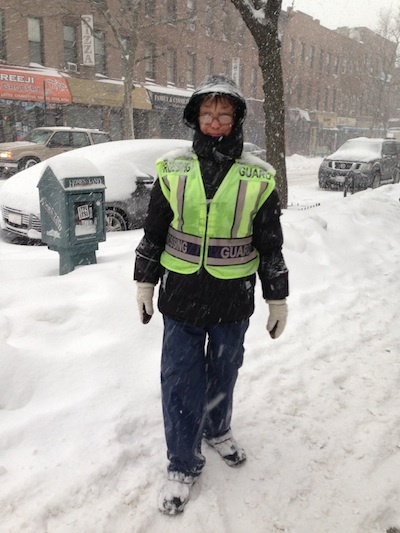 You have to feel for the crossing guards this winter — we should all get them some presents … gloves and face masks and homemade soup. 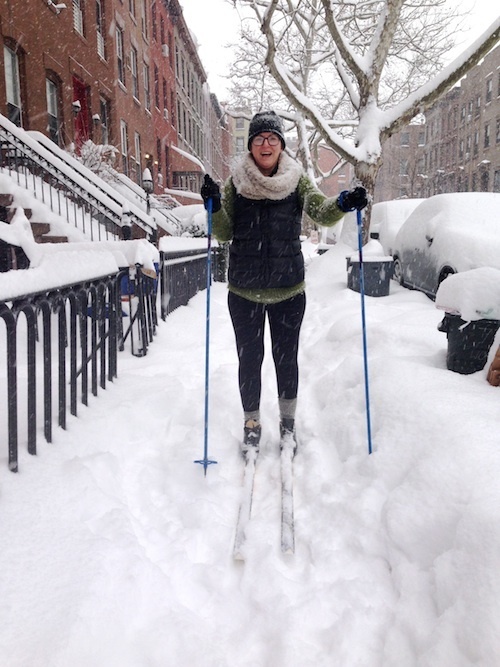 Photo by Carroll Gardens photographer Julie Creech. But safety is important, as well. Chirline launched a website and twitter feed today, with the hashtag #FLONYC (pronounced Flow-Nice). My eyes are rolling but that’s not so nice. If Chirline and the mayor can bring the city together, that would be awesome.